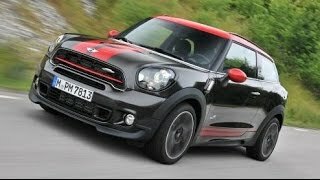 Soon after completing its Countryman 2015 event in New York, Mini at its 2014 beijing motor Show unveiled the Mini Paceman 2015. Though there aren’t much changes but saying entirely carry over from last year model would also be wrong. 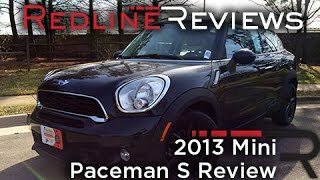 Let us have a look at the review of Mini Paceman 2015 to know more. The interior of Mini Paceman 2015 remains almost same with its sitting configuration untouched. Starting with the cabin, looking at the center console you can easily recall the one in previous mode. However there is one change and that’s with the option to have a leather wrapped sports steering wheel with shift paddles. 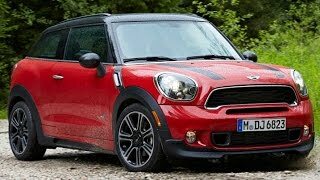 Another addition in the interior is with Harman Kardon hi-fi speaker system that gives you leading sound quality and making the interior of Mini Paceman 2015 up a class in comparison to its predecessors. Apart from these the current model also has some extra space that make its loading capacity to as much of 1,080 liters with its rear seats folded. However the same figure falls dramatically with the same seats on to 330 liters only. Talking about the exterior of Mini Paceman 2015 you can notice little more changes in comparison to its interior. First in our list is a shorter hood like figure that comes through an elongated silhouette through the roof line. Another one in the list is with the standard light alloy wheels that not only add to performance and looks but also lessen the overall weight of the model. Apart from its standard feature the exterior of Mini Paceman 2015 has series of enlightening options like, LED fog lamps featuring daytime driving lights. The set of Xenon headlamps join the list with LED parking lights, turning light while features like automatic air conditioning, glass push/tilt roof etc add to the list of comfort. This is where Mini Paceman 2015 gets interesting. Being loaded with three powertrain options, you have a good range of options to choose. All three variant get the same 1.6 liter displacement but have different output configurations. The base model in this list generates total output of 122 hp and peak torque of 160 nm while the turbo engine cranks 190 hp taking the power generation up a notch in comparison to last year. While the last one, the top most in your list of options is John Cooper Works trim delivering total output of 218 hp through its 1.6 Liter turbo engine.